The MSU Writing Center is now OPEN for tutoring for the Spring 2019 term. Hope to see you soon! To make an appointment, go to WC Online. We can help you with any kind of writing, for any subject, at any stage of the writing process. At the MSU Writing Center, we believe everyone is a writer and can express their ideas through writing. We also believe that the best way to improve our writing is through collaborative learning. One aspect of that is for writers to receive helpful and constructive feedback from engaged, nonjudgmental readers. Our tutors strive to be those readers. As writers ourselves, we offer a place where writers can safely try out new ideas, learn new writing skills, practice revising strategies, and gain confidence in their own writing. Our primary goal is to help students become stronger, independent writers by offering them strategies and tools they can use for future papers. We focus on the writer as a whole person, not the individual assignment. Support for ideas in the form of examples, research, etc. Style: appropriate voice, word choice etc. We believe writing is a process of discovering what we really want to say, a creative, non-linear process whose steps often blur together. All writers approach this process in different ways on their way to a polished final draft. Because writing is a "messy" process, we believe that feedback throughout the writing process is most helpful. 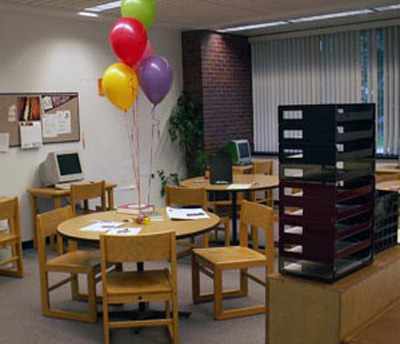 The Writing Center should not be the last stop for the paper, but rather, several stops along the way to a finished paper. » Meet this year's tutors. » Faculty, find out what our tutors can do for you! If you miss three appointments in a semester, your account will be disabled and you will no longer be able to make appointments. This is important, because a no show in effect steals a session from someone else. If you need to cancel, please do so 24 hours before your appointment. It's only common courtesy to both the tutor and your fellow students.